There are however many Filipino recipes from each region of the Philippines with each region having its own unique specialty. The Ilocanos from the north are known for their Pakbet - a simple but nutritious vegetable dish. While the Bicolanos are famous for their Bicol Express a hot and spicy dish simmered in coconut milk. Overall, nothing beats the fame of the tasty pork and chicken Adobo, a dish the Philippines is known for throughout the world.Experience the tastes and colors of Philippine food. A gastronomic delight that has been savored through many generations. 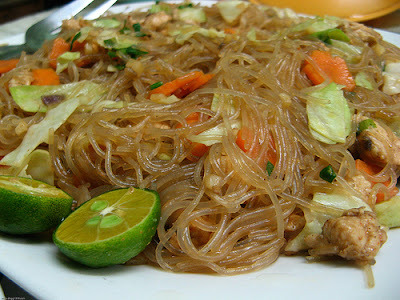 Enjoy the free Filipino food recipes on this site and happy cooking!